Hi all! Thank you for your concern yesterday and for reading my rant! The landlord finally did something right and sent someone professional to fix the oil leak and our heat is back on. Plus, our house smells normal again! 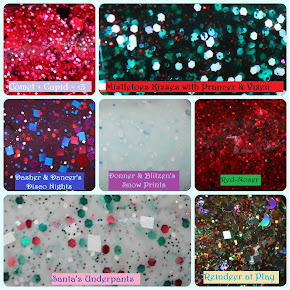 Finally:] Anyway, I have another Lyn B Designs polish for you today. I saw this over on Chelsea's blog a little while ago and when I decided to order a few polishes, I had to include this one. 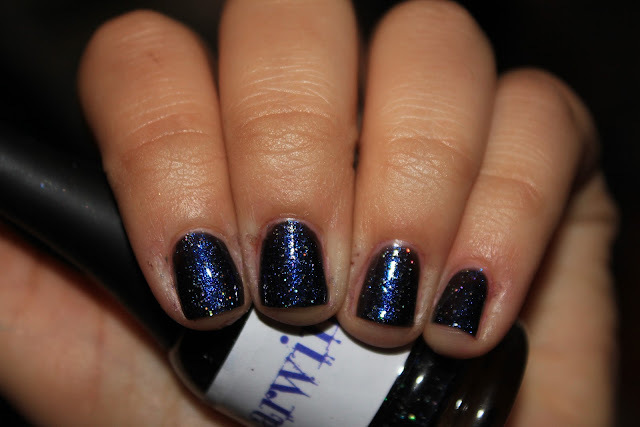 Darwin is from the Gender Benders collection, 14 polishes named after unusual male names. This is just 2 coats of polish and it really looks like galaxy nails. I love how strong the shimmer was in this one. And the holo glitter was really great, it shines through SO well, not covered up or bumpy looking. Basically, it's a great idea and great execution on this polish. I'm really happy with this purchase. Yay! <3 I'm glad you picked this one up, it's one of my favorites from this brand! I LOVE her polishes and this one is just gorgeous! Wow! This si so pretty!